This stylish table is not just a conversation piece, it also doubles as hidden storage. 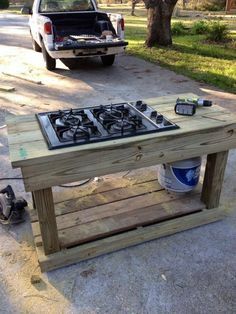 There are many different tutorials and techniques online for this project. 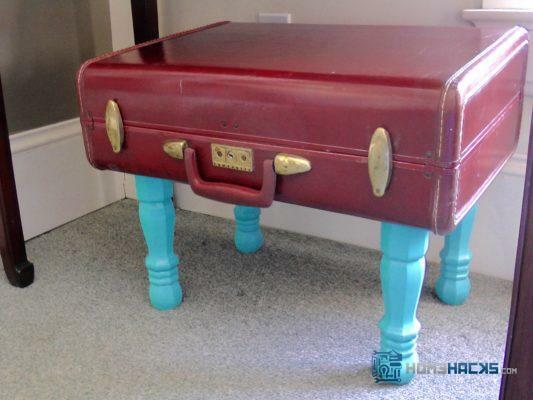 Basically, to make a table out of a vintage suitcase you will need a suitcase, legs (I bought these from Home Depot), leg mounts, pre measured and cut wood insert, glue, drill and screws. Glue the wood insert to inside bottom of suitcase, attach leg mounts to bottom using drill, then screw in the legs. That is basically it. If you are feeling frisky you can also upholster the inside. I painted the legs with bright blue spray paint to make the piece pop. Have fun with it!